경주 낭산(狼山) 기슭에 있는 신라의 절터로 신문왕릉 옆 ·선덕여왕릉 아래에 있다. 신라 문무왕 14년(674)에 중국 당나라는 신라가 그들의 도독부(계림도독부)를 공격한다는 핑계로 50만 대군을 일으켜 신라를 공격하려 하였다. 이에 문무왕이 명랑법사에게 적을 막을 계책을 구하자, 이곳 신유림에 사천왕사를 짓고 부처의 힘을 빌리도록 하였다. 그러나 당의 침략으로 절을 완성시킬 시간이 없게 되자, 비단과 풀로 절의 모습을 갖춘 뒤 명승 12인과 더불어 밀교의 비법인 문두루비법을 썼다. 그러자 전투가 시작되기도 전에 풍랑이 크게 일어 당나라 배가 모두 가라앉았다. 그후 5년 만에 절을 완성(679)하고 사천왕사라 하였다. 이곳은 원래 신유림이라 하여 신라인들이 신성하게 여기던 곳이다.『삼국유사』에 의하면 선덕여왕이 죽으면서 도리천에 묻어줄 것을 유언했는데, 그곳이 낭산 남쪽이라 하였다. 여왕이 죽은 지 30년만에 왕릉아래 사천왕사를 짓게 되었는데, 사람들은 여왕의 예언이 맞았음을 알게 되었다. 불교에서는 수미산을 세상의 중심으로 보고 그 중턱은 사천왕이 지키며 꼭대기에는 부처의 나라인 도리천이 있어 불국토가 시작되는 곳이라 믿었다. 이 설화를 통해 낭산을 수미산으로 생각했던 신라인들의 불국토사상을 엿볼 수 있다. 절터에는 머리부분이 없어진 귀부 2기와 비신, 그리고 당간지주 1기가 남아있다. 특히, 절 동쪽에 남아있는 귀부는 사실적인 표현수법과 등에 새겨진 아름다운 조각으로 신라시대의 뛰어난 작품임을 보여주고 있다. 신라가 삼국을 통일한 후 가장 먼저 지은 사천왕사는 전형적인 쌍탑식 가람 배치로 신라 호국불교의 성격과 신라인들의 불교관·우주관을 잘 보여주는 절이다. 경덕왕 때 향가인‘도솔가’, ‘제망매가’를 지은 고승 월명이 머물렀던 곳으로도 유명하다. 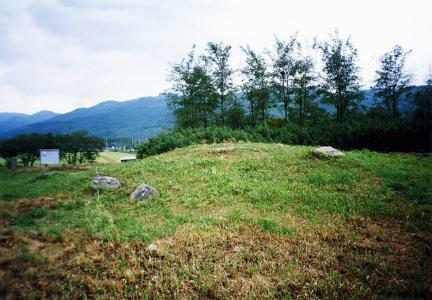 This temple site is located next to the royal tombs of King Sinmun and Queen Seondeok, which were built at the foot of Nangsan Mountain in Gyeongju. Construction of the temple began in 674 when evil tidings arrived that Tang China planned to send an army of half a million men across the sea to attack Silla, which had shown its hostility toward the Gyerim Commandery established by Tang in Silla territory. Astonished, Silla’s King Munmu (r. 661-681) sought the advice of Dharma Master Myeongnang and ordered to build a temple, which would later be Sacheonwangsa, in an effort to supplicate Buddha’s magical interruption. As the Tang forces were nearing Silla, the king ordered the yet-to-be-completed temple to be hidden with silk and grass and invited twelve eminent monks to perform the Mudra Rite of Esoteric Buddhism. The rite had a magical effect, causing a massive storm in the middle of the sea that devoured all the invading Tang vessels. 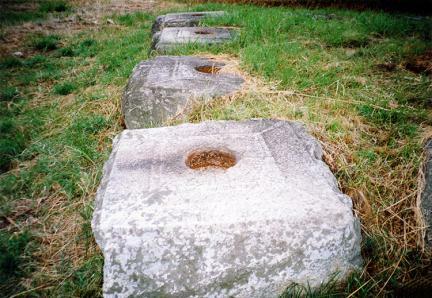 The area where Sacheonwangsa Temple was built in 679 had long been considered a sacred place by Silla people. 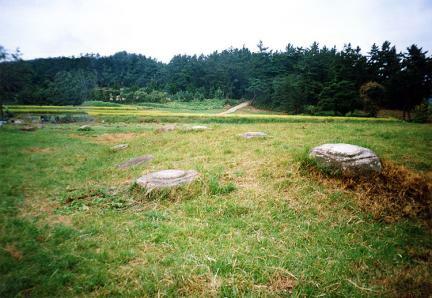 According to Samguk yusa (Memorabilia of the Three Kingdoms), Queen Seondeok (r. 632-647) left a will to the effect that she be buried in the Heaven of Thirty-three Gods after her death, indicating a site to the south of Nangsan Mountain. It was not until thirty years after the queen died that Sacheonwangsa Temple was built at the foot of Nangsan Mountain, which Silla people regarded as Mount Sumeru, the center of the Buddhist universe guarded by the Four Heavenly Kings. This reflects how deeply Buddhism influenced the Silla people’s way of thinking. 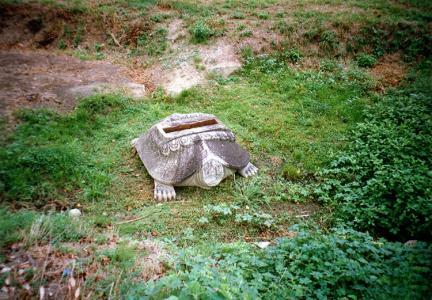 The temple site contains two headless tortoise shaped pedestals that once supported stone monuments and a stone flagpole support. Of these, the stele pedestal located to the east of the temple has been widely praised for its realistic carving technique and its elaborate details, attesting to the high degree of artistic excellence achieved by Silla artisans. Known as the first temple to be built after the unification of the three Korean kingdoms by Silla, Sacheonwangsa Temple is a fine example of the “twin-pagoda layout” that characterizes the tradition of patriotism established in Silla Buddhism, and the Silla people’s view of humanity and the universe. The temple is also famous for its connection with the eminent monk Wolmyeong, who left behind two famous poems, Dosolga (Song of the Heaven of Joy) and Jemangmaega (Song for My Deceased Sister).